Finding a medium for a custom wall art piece at a finanial company required a material that was easy to work with and small enough to create lots of detail when amassed in a large quantities. 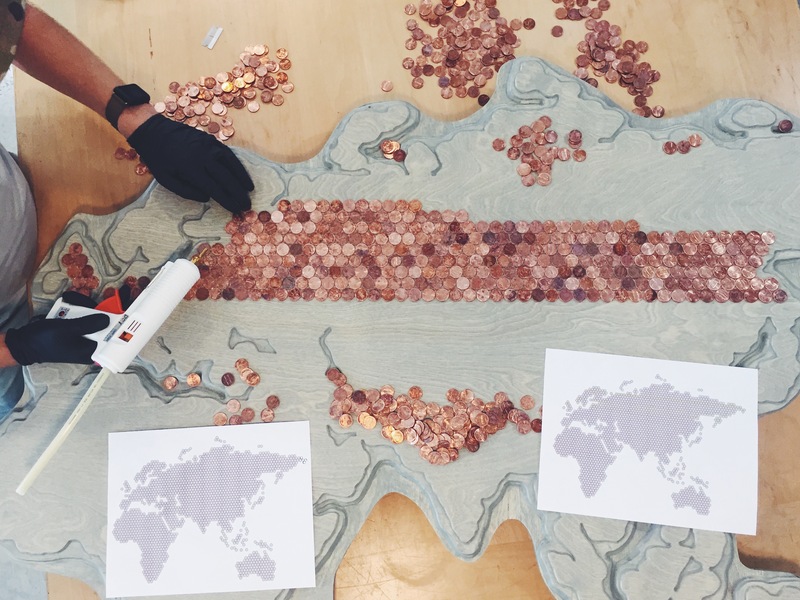 We utalized the one cent copper penny, and we needed quite a few of them – over 3,000 to be more precise. These coins we used had been in circulation and therefor in need of a good cleaning before mounting and adding back patina. 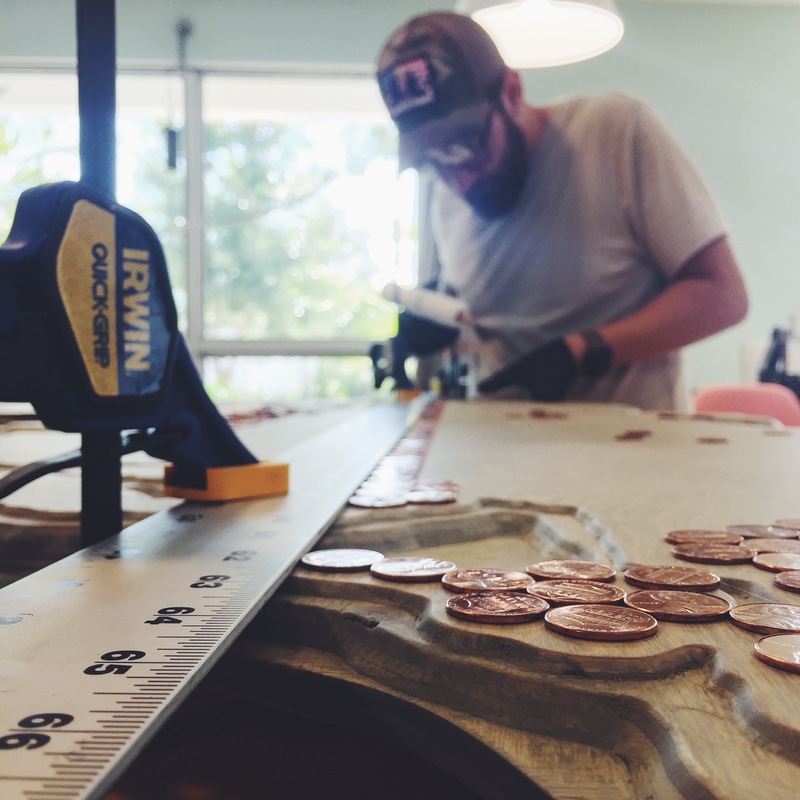 The pennies were put through a bath of Bar Keepers Friend (our prefered copper cleaner), dried and then individually adheared to our pre-prepped wood map. 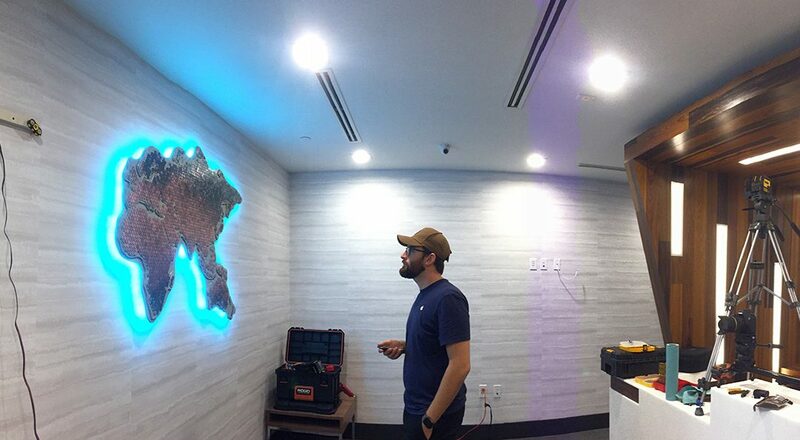 Height variences on the wood map were created by using a router at 2 different depths to create the effect of the ocean floor surround the continents. 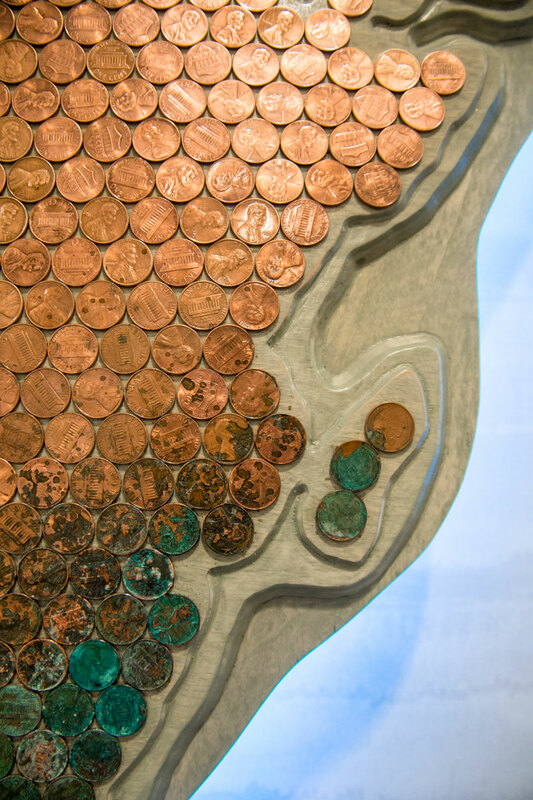 Once the coins were securly fastened, the fun started adding patina to the currency. Armed with spay bottles and patina solvents, we sprayed away at the outter ends of the map. The color gradation mimics a thermal map. After the patina was applied, we went back in with a little elbow grease to shine up the centermost pennies to their most brilliant shine and added a clearcoat to seal everything in.